Buy 5 Boxes and Get Your 6th Box FREE! Purchase all at once or cumulatively. 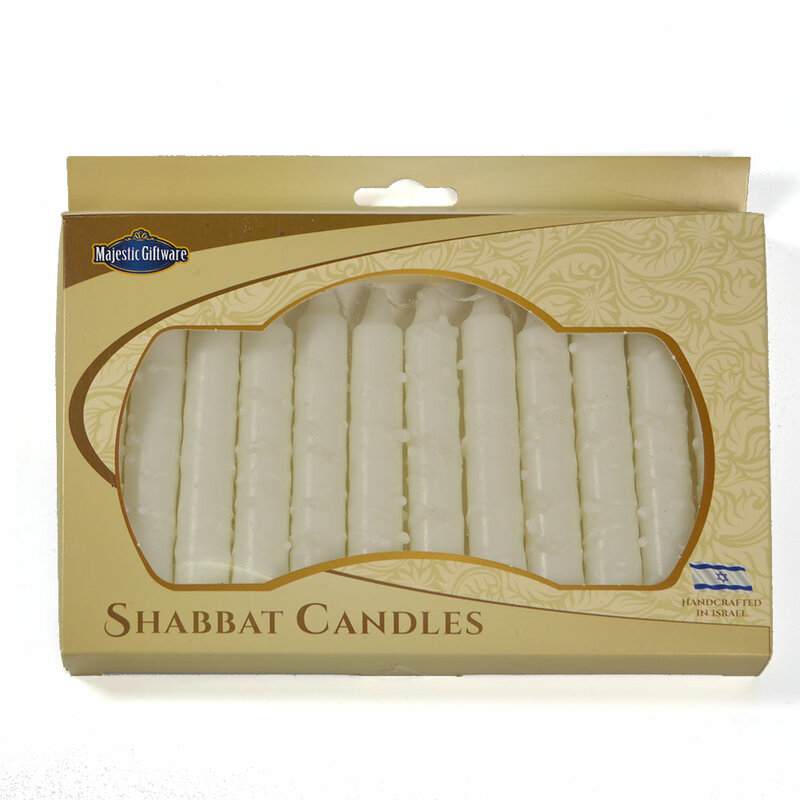 Hand Made In Israel By Safed Candles, These 5" Tall Tapered Shabbat Candles Come With 12 Shabbat Candles In Each Package. These All White Candles Are Carefully Dipped And Hand Decorated By Skilled Artisans In The Ancient City Of Safed.